The Tullamore Court Hotel is an elegant 4-star hotel right in the midlands of Ireland – specifically in the county of Offaly. This county is right at the heart of Ireland. It has acres of wilderness, bogland, and a huge mountain park. You will also find wooden valleys, esker hills, and various streams and rivers. The beauty of nature is very appealing in this part of Ireland and there is no doubt that you will visit this remarkable place soon in your lifetime. When that time comes, you know exactly what hotel you should be booking with. 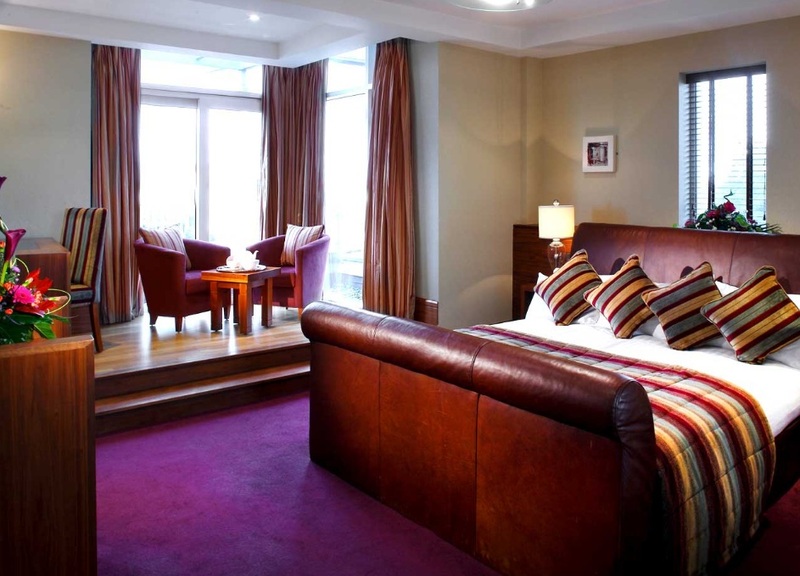 There are so many things to like about the Tullamore Court Hotel. For tourists, this place is conveniently located near the train station. To be precise, it is 5 minutes away from the Tullamore Train Station. But of course, that is not even the gist of what you should love about this hotel. It is a luxury hotel that has the complete ensemble. It has fine dining and several leisure facilities. There is a 20-metre swimming pool that you can take a dip in after an exhausting day exploring the Ireland outdoors. Of course, the professional and friendly staff of the hotel is something to enjoy. They are trained to be accommodating, polite, and in tune with the needs of their clientele. When you come for a visit, the Tullamore Court Hotel will prove why they have gained a positive reputation over the years. In fact, the hotel received a lot of awards because of the excellent cuisine served in their in-house restaurant. Not only that, they have family-friendly facilities that will make your stay enjoyable. The hotel is also known among business circles. There are conference and meeting halls that have a large car park for visitors. With the hotel being a good distance from several major towns (Dublin, Galway, Limerick), it is quite popular for corporate events and business meetings. So what are the different facilities at the Tullamore Court Hotel? It is a very luxurious hotel with accommodations that can fit your budget. The 103 guest bedrooms are well-maintained and completely equipped with the modern amenities and equipment that you need to make your stay comfortable. Every room is guaranteed to be serviced with the highest standards possible. The hotel has 72 classic rooms, 8 family rooms, 18 executive rooms, and 5 suites. They are all equipped with high-speed Internet and has a direct dial telephone. There are complimentary tea, coffee, and toiletries. When it comes to dining options, there are three options to choose from. You have the Bistro – a casual dining area for an informal dining experience. You also have the Restaurant – a stylish, spacious, and formal venue to try out delicious cuisine in Ireland. Finally, the Furlong Bar is perfect to relax with a drink as you socialise the night away. 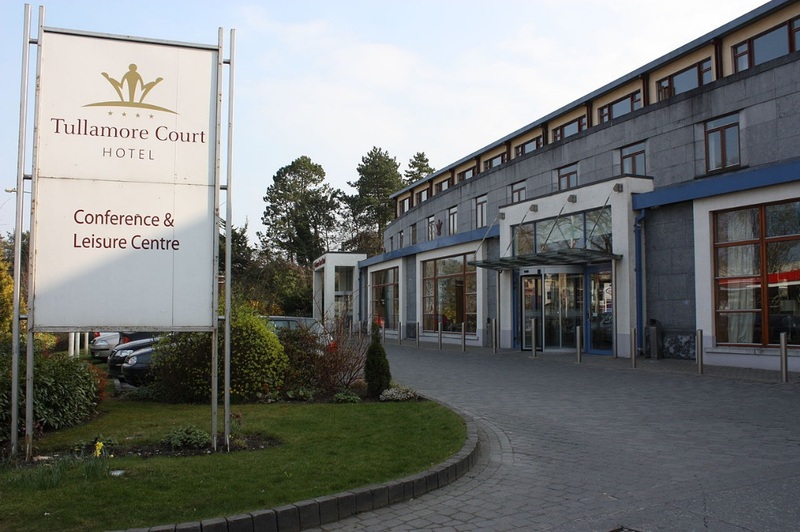 The Leisure Centre of Tullamore Court Hotel is also something to look forward to. The gym, training, and strength zones are in the 1st-floor facilities. The ground floor holds the 20-metre swimming pool with a steam room, jacuzzi, water volcano, kiddie pool, sauna, water curtain, etc. The conference facilities are also something that the hotel boasts of. 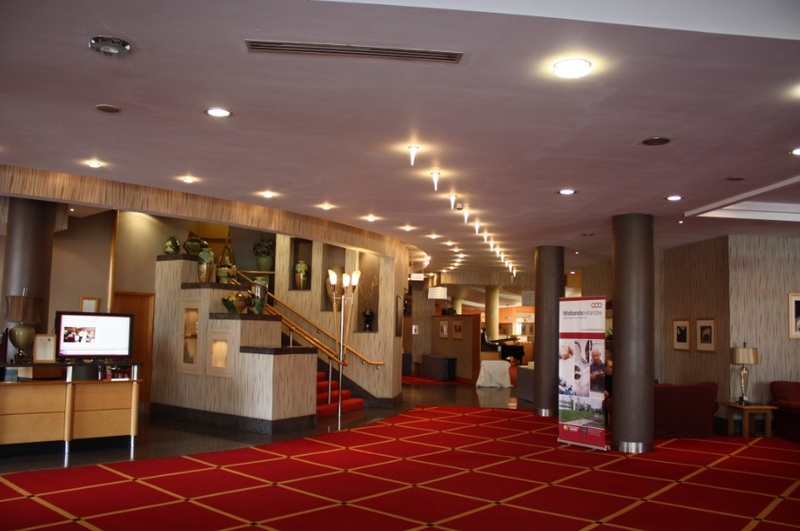 The conference venue is right in the midlands of Ireland – an easy access to several major cities and airports. The venue has several meeting rooms that can cater between 5 to 750 delegates. Every room is equipped with the essentials needed for any business meeting or conference. Of course, the beautiful scenery around the hotel makes it a perfect venue for weddings. This is one of the popular events that usually take place at the Tullamore Court Hotel. With a well-trained staff, beautiful backdrop, and years of wedding coordination experience, this venue is the perfect place to celebrate one of the most important milestones in any one’s life.